TEHRAN, Iran (AP) — Waving Iranian flags, chanting “Death to America” and burning U.S. and Israeli flags, hundreds of thousands of people poured out onto the streets across Iran on Monday, marking the date that’s considered victory day in the country’s 1979 Islamic Revolution. 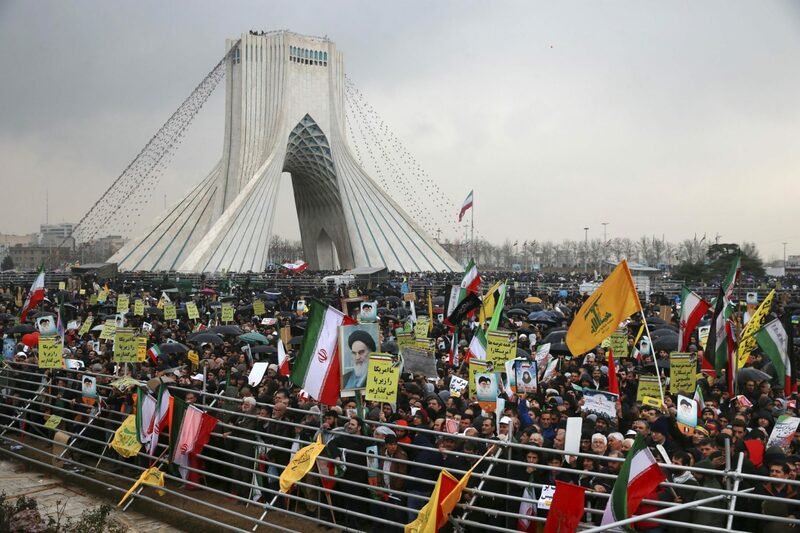 In Tehran, despite the rain, crowds streamed in from the capital’s far-flung neighborhoods to mass in the central Azadi, or Freedom, Square, waving Iranian flags and chanting “Death to America” — standard fare at rallies across Iran. In the backdrop to Monday’s marches, the military displayed Iranian-made missiles, which authorities showcase every year during anniversary celebrations. The missiles have a range of up to 2,000 kilometers (1,250 miles), placing Israel and U.S. military bases within range. This article was written by Nasser Karimi from The Associated Press and was legally licensed through the NewsCred publisher network. Please direct all licensing questions to legal@newscred.com.